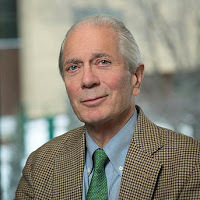 Professor Robert Kudrle comments in this Star Tribune story about the impact of the Trump administration's China tariffs on Minnesota's medical technology industry. U.S. representatives recently returned from China after a round of talks to see how to resolve issues of Chinese intellectual property theft, government subsidies that keep many U.S. companies out, and forced partnering of U.S. companies with Chinese companies in order to gain market access. These are among many issues that must be settled to avoid tariffs. But an accompanying U.S. demand for China to reduce its annual trade surplus with the U.S. by $200 billion by 2020 is not seen by many trade experts as something the Chinese would or even could do. “How can you tell a country it can’t improve itself?” asked Robert Kudrle, an international trade specialist at the University of Minnesota. Negotiations are still in the posturing and bluffing stage, Kudrle said.